Think about all the things you love about Greenville, SC. Its location at the foothills of the Blue Ridge Mountains. Its passionate patronage of the arts. Its nationally recognized culinary scene. Its robust downtown experience. Its iconic parks and green spaces. And, of course, its people. 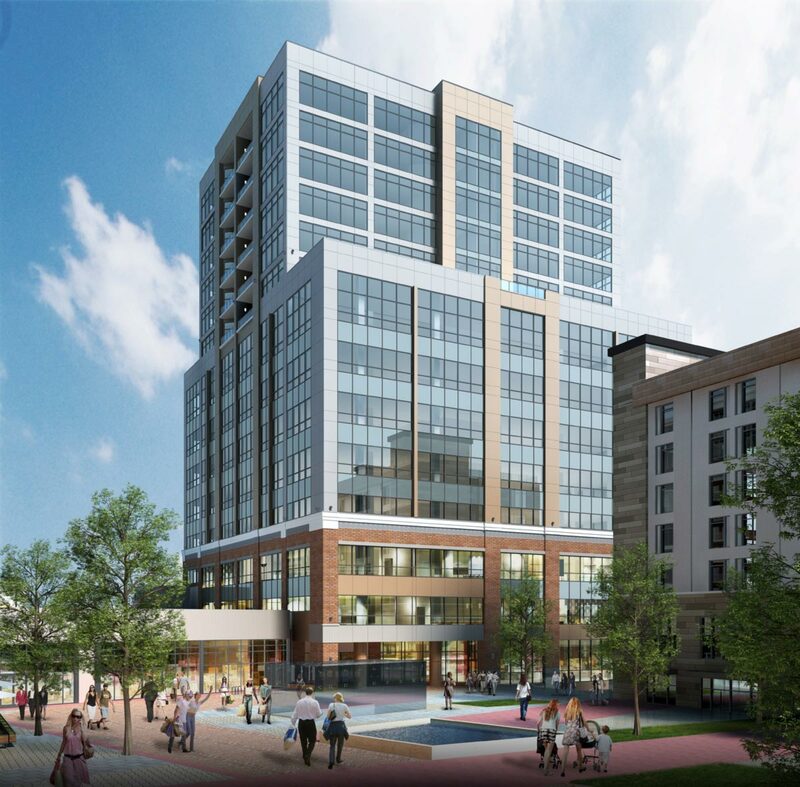 All of this—and more—can be enjoyed from the comfort and elegance of your luxury condominium set atop downtown Greenville’s skyline at Falls Tower Camperdown! Overlooking Greenville’s iconic Falls Park and adjacent to the celebrated Peace Center in the heart of downtown, the Camperdown development is destined to elevate Greenville’s Main Street experience to new heights. Perfectly situated to enjoy all that downtown has to offer, this new micro-community will welcome a variety of new offerings designed to make it downtown’s most desirable gathering place. In addition to a luxury hotel, office suites and an eclectic mix of shopping and dining venues, a limited number of luxury condominium residences will be crafted at 11 to 15 stories above Main Street. Offering premier amenities such as a relaxation terrace, fitness center and a staffed welcome lobby, ownership is reserved for the few individuals who have earned their way to the top. Get a taste of what it will be like in the comfort of your new residence at Falls Tower. There’s beauty and adventure in every direction you look. To check out the views that await you as an owner, simply click and drag on the image below for a full 360-degree experience. For more information on this rare and extraordinary ownership opportunity, please complete the form below and a Falls Tower Camperdown condominium specialist will be in touch shortly. For immediate assistance, call 828.243.0774. Camperdown condos will be fully customizable, so all interior renderings are conceptual.